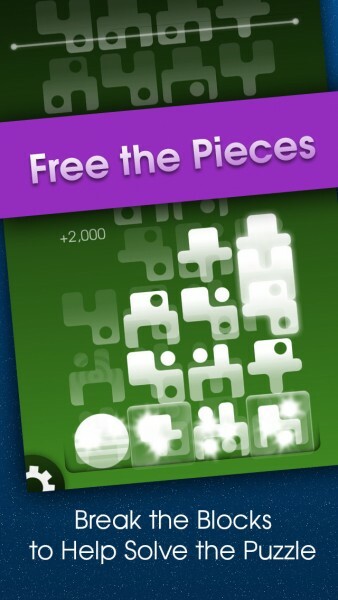 Puzzix (Free) by Oz Machine is a delightful new match-three puzzle game that is unlike the many others you’ve played before. 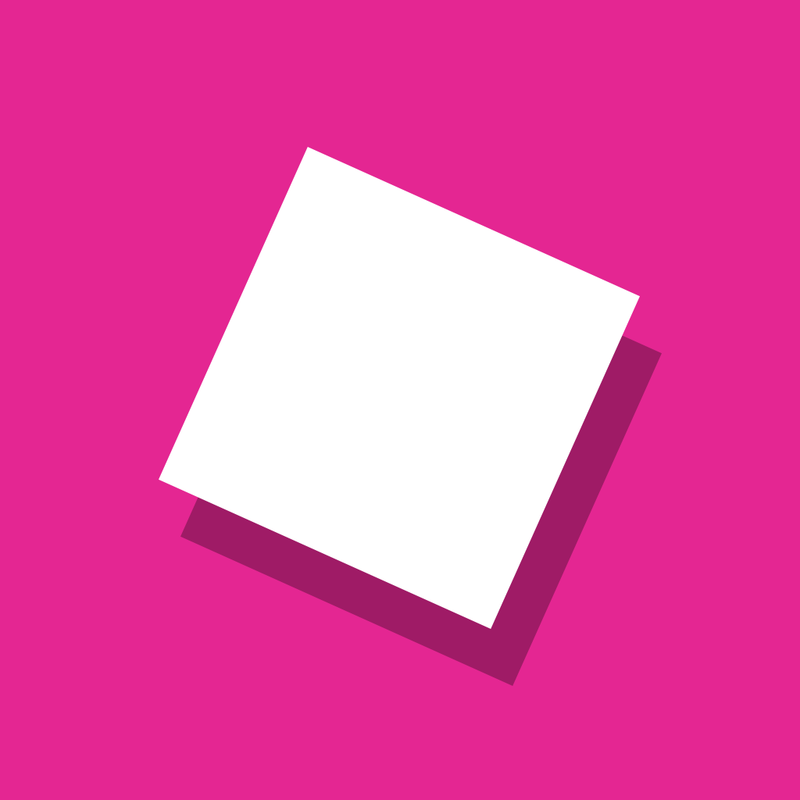 If you are a fan of the unique match-three games like Poptile and Colorbars, then you’re bound to like Puzzix. 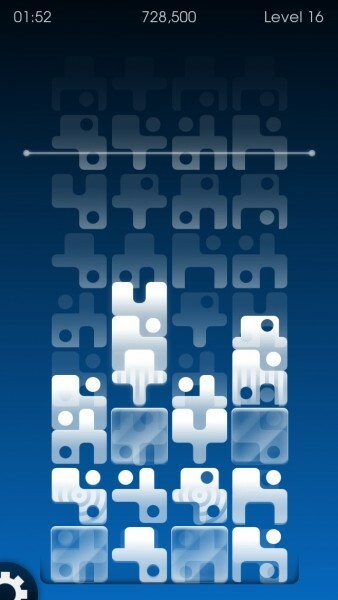 I play many games on my iOS devices, but my forte is puzzle games. 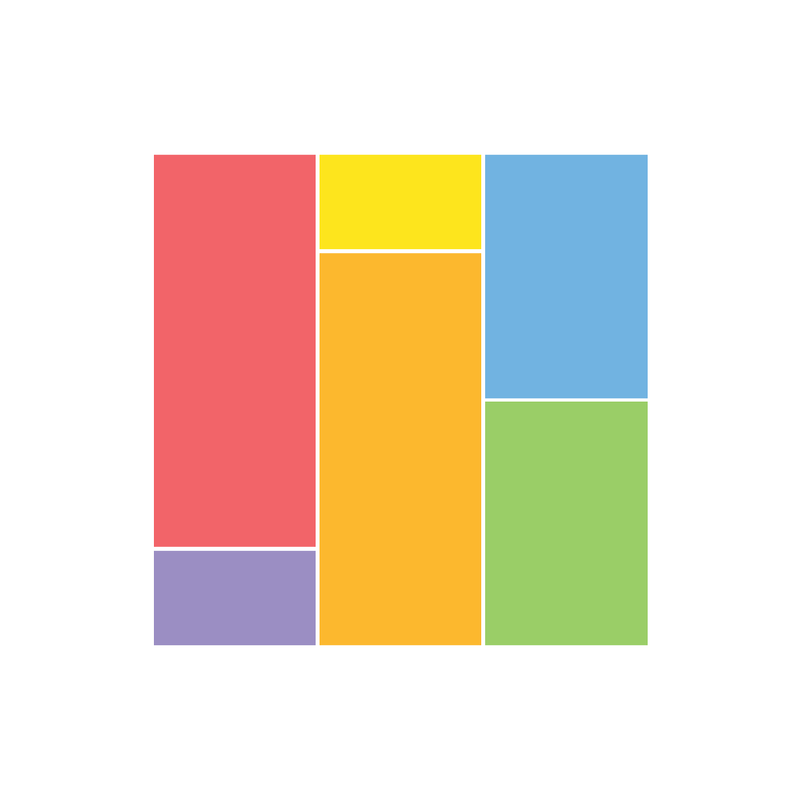 I grew up on them since my childhood, so they will always have a soft spot with me, and I can’t help but be on the lookout for fresh new takes on puzzles, especially of the match-three genre, in the App Store. While I still love the tried-and-true games match-threes like Bejeweled, I love seeing how creative developers can get with the genre. 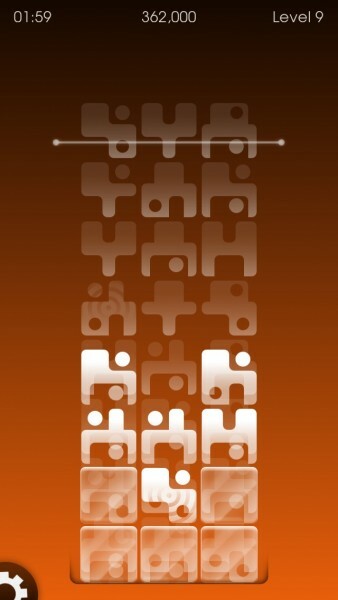 So when I stumbled upon Puzzix on the App Store, I was intrigued, to say the least. 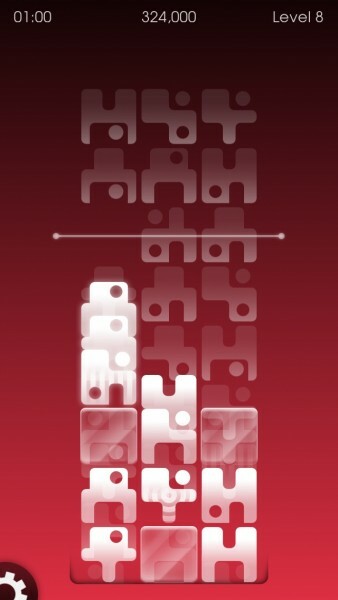 The visuals in Puzzix are beautiful, especially if you’re a fan of the simple, “less is more” type of artwork that many games seem to use nowadays. 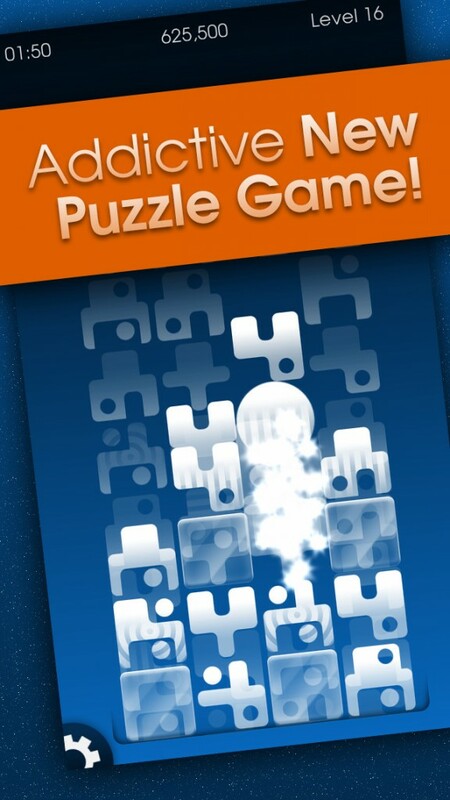 Personally, I like simple graphics more with puzzle games because it still looks great, but also helps put more focus and emphasis on the gameplay itself. Puzzix has somewhat flat visuals to it, but there’s a bit of depth to how everything looks thanks to the use of shadows. 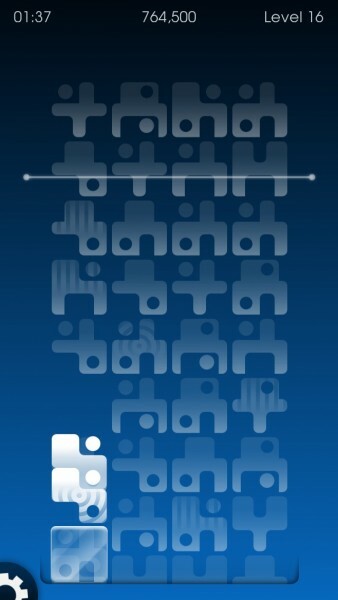 The animations in the game are smooth and fluid, allowing the pieces to flow with ease. The ambient soundtrack is soothing, and the clicking sound effects are fun. The game has one game mode, but that’s all you need. 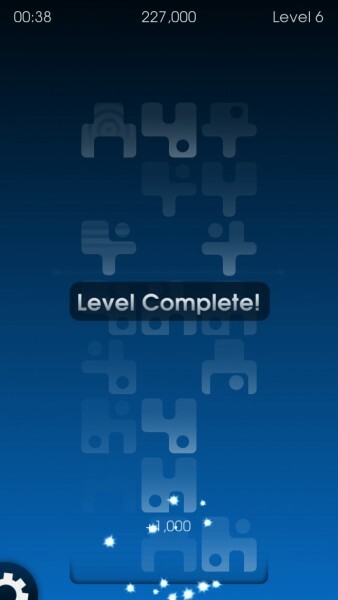 There are also over 60 levels to go through, so there is plenty of replay value here. In order to progress to the next level, you need to beat the previous stage first. There isn’t a level selection screen for you to pick and choose where you want to start from, so because of this, it feels much more linear, like the classic Tetris levels. Fortunately, you are able to save your level progress, so you don’t necessarily have to start from level one each time, unless you want to. 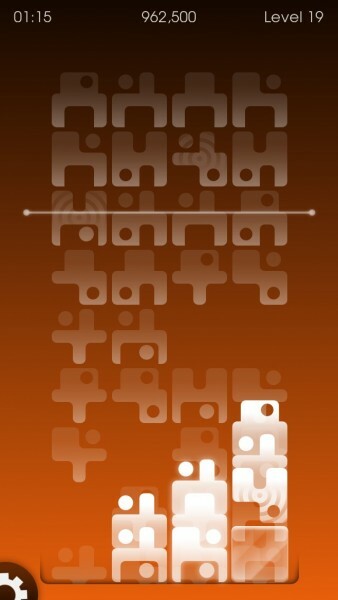 Puzzix is one of my favorite new puzzle games due to the distinctive gameplay. Each level will have a variety of puzzle pieces that are on the screen, and more that will be streaming in the background. You need to drop puzzle pieces in from the columns to connect with the other pieces, which is done by tapping the piece you want. 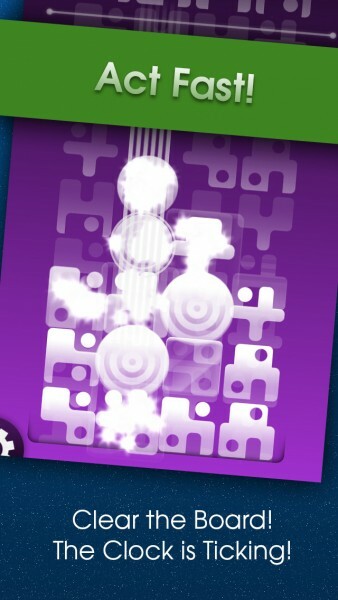 The objective of each level is to clear the screen of all pieces. To clear them out, you need at least three, and then they will begin to flash. If you want to add a fourth piece to the group, you’ll need to act fast, because they will only flash for a brief amount of time before they get cleared out. 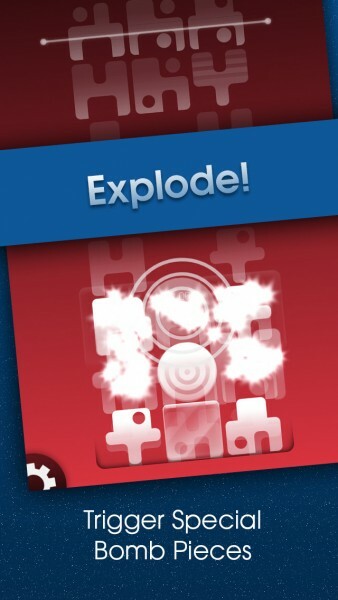 Getting matches of four or more may get you a surprise, like a bomb, as well as more points. Additionally, you’ll see some striped pieces — these will generate bombs when connected, which can clear out a column or row, depending on the stripe direction. 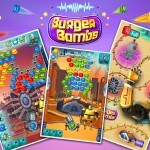 If a piece has radial stripes, then it will become a bomb that blows up adjacent pieces. 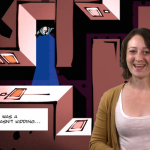 The basic gameplay is simple enough, and you may even find it relaxing. 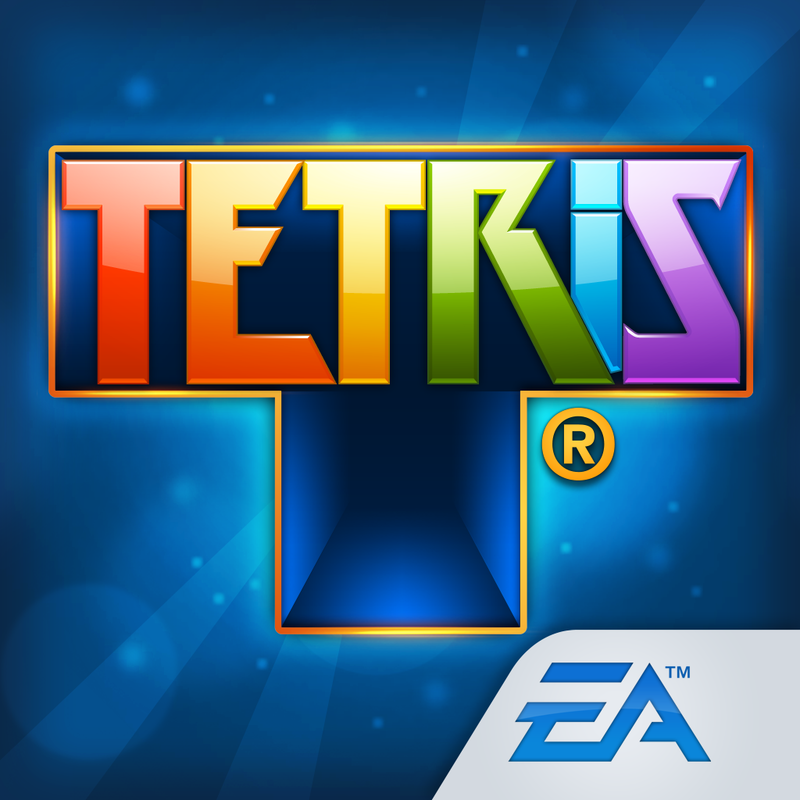 However, to make things challenging, you only have a limited amount of time for each level, and if your puzzle pieces go above the line on the screen, then the game ends. You can see the remaining time in the top left corner, and the line will gradually descend, limiting the amount of space you have for columns. 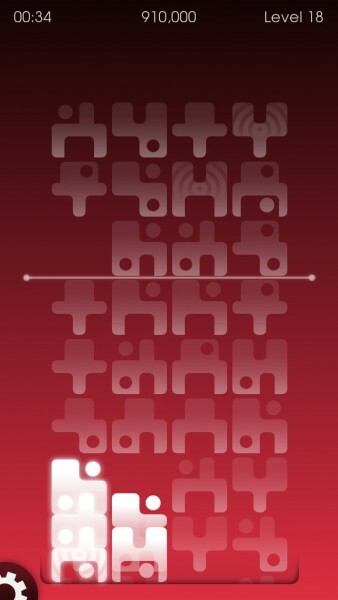 When you clear the screen and move on to the next level, the time gets reset and the line starts from the top of the screen again. Puzzix is a free download, so it does have ads that appear every now and then between levels. Thankfully they don’t appear during the game itself, so it’s not intrusive. Unfortunately, if you just aren’t a fan of ads, there are no in-app purchases in Puzzix, so you can’t ever get rid of them. Still, not a big deal, but just a warning. 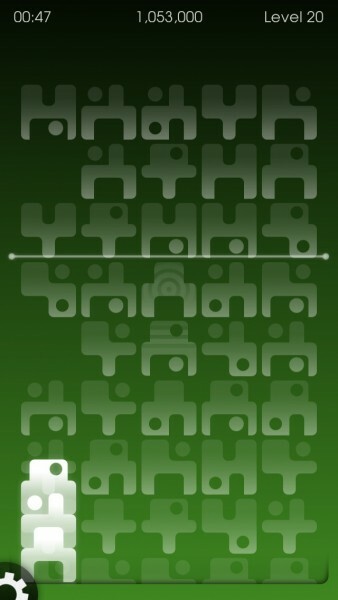 I’m a bit surprised that the game does not have Game Center leaderboards, since it is point-based. I thought it would be a perfect way to compete with your friends, so I hope that this can be implemented in the future, but I digress. As a huge puzzle game fan, I’m loving Puzzix so far. 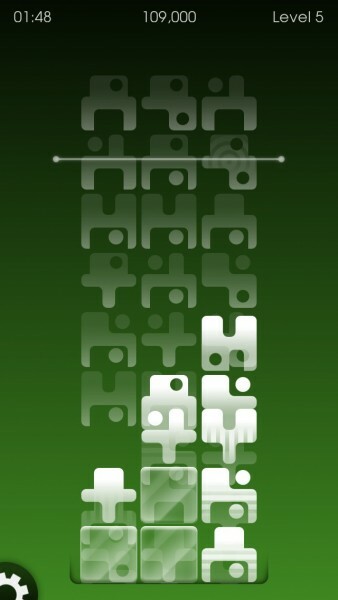 The minimal graphics are elegant, the music and sounds are pleasurable, and the gameplay is refreshing while still providing a challenge. I just wish that the game gave players the option to remove ads, or had Game Center integration. 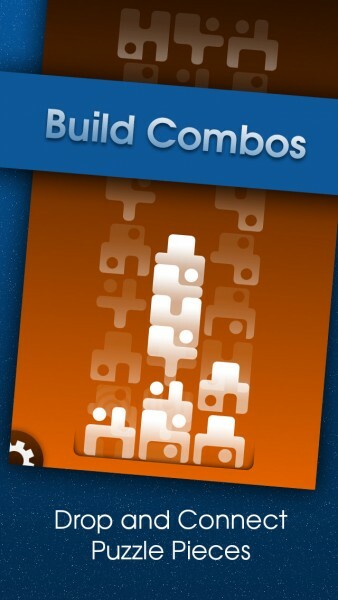 Despite these, Puzzix is an awesome new puzzle game and one of my favorites lately. 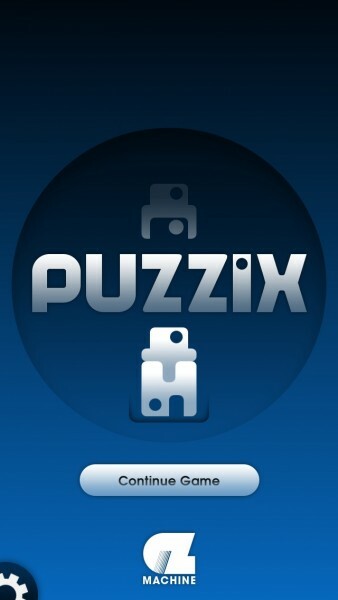 I highly recommend checking out Puzzix for yourself if you are a match-three puzzle fan who wants a new challenge. 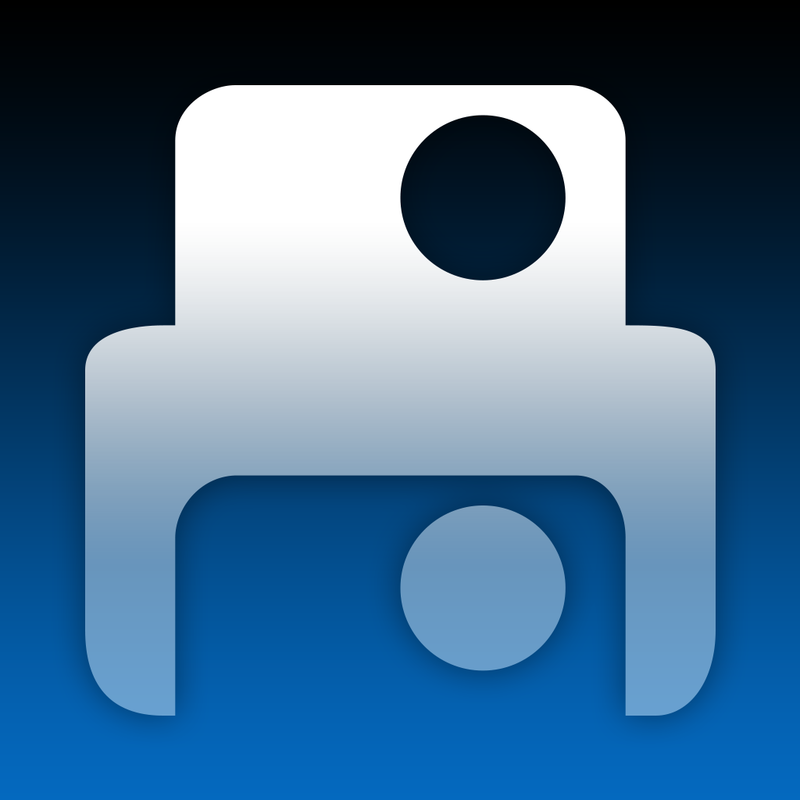 Puzzix is on the App Store as a universal download for free.